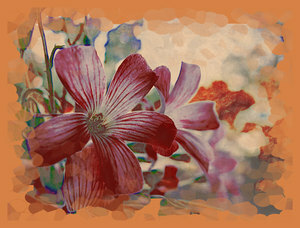 A red flower with an arty abstract grunge effect. Would make a pretty card. Please use according to the image licence.